It is easy to manage your accounts in Physitrack direct. This makes managing your finances simple and accessible. 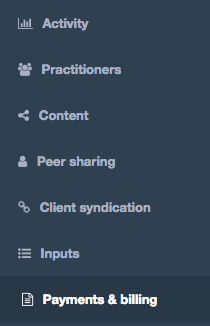 Go to "Payments & billing" in your left side menu. 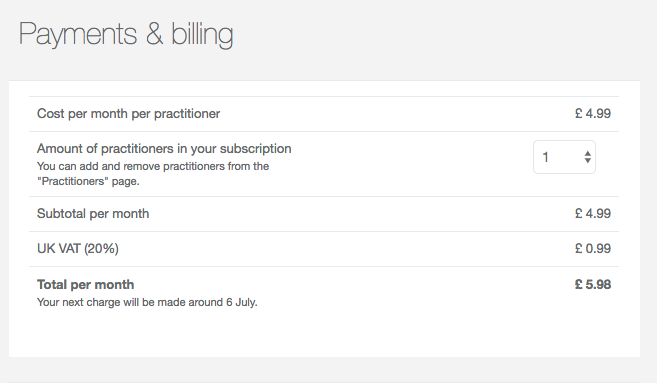 Here you can view the details of your account including the amount of practitioners assigned a license, the cost per license and the total cost per month for your Physitrack subscription. 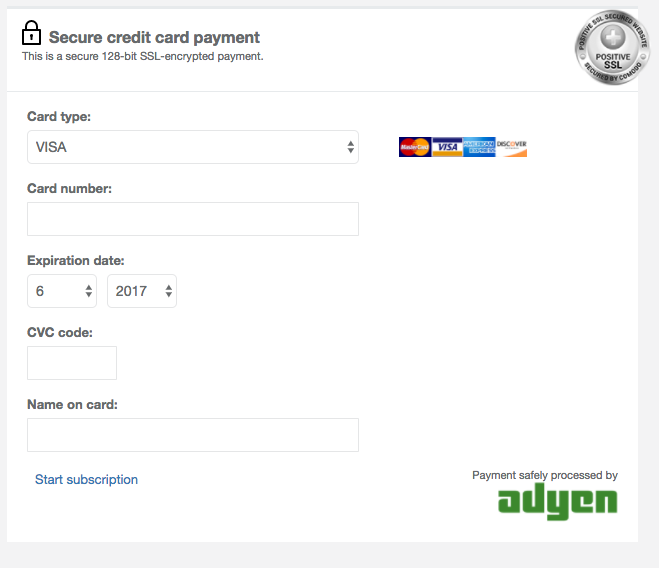 Scroll down to view or amend your payment details. 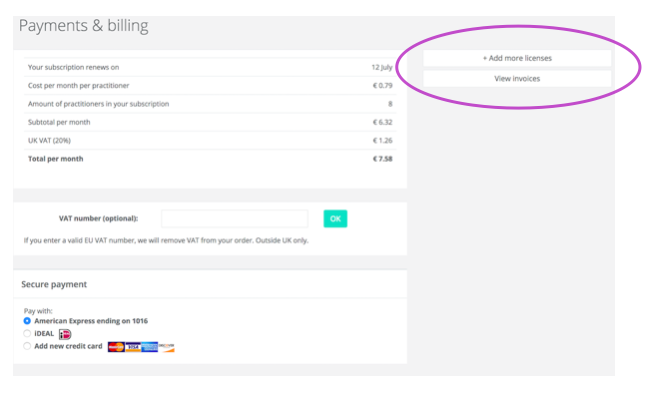 Download your invoices via the "View invoices" tab. Your account will automatically be debited with the "Total per month" fee every month based on the date that your subscription started. If you add or subtract a license mid month, your account will be debited a pro rata subscription according to the days of your Physitrack month remaining.